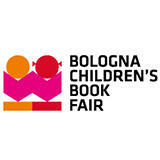 "Book publishing and multimedia products for children and young adults"
The Bologna Childrenâs Book Fair is the event in the publishing yearâs calendar, built around childrenâs content today. This event showcases a chance to discover the latest market trends in the book industry, to meet the most important illustrators, fairy tale authors in the Book industry. There are Publishers, illustrators, graphic designers, literary agents, authors, translators, developers, licensors and licensees, packagers, printers, distributors, audio-book professionals, booksellers, brands, librarians and teachers contributing in one way or the other. The Children's Book Fair in Bologna is a meeting point for the sector's top professionals involved in creating and publishing children's books. The fair itself is a marketplace for trading rights for publishing and translations. The Digital Cafe and Illustrators Presentations in Hall 30 were very interesting and insightful. Due to popularity I hope these venue areas can be expanded since many presentations were standing room only events. There should be many more ladies toilets and places to get a quick snack. Far too many queues every day. I had back to back meetings and couldn't wait in line. Very poor. Perhaps to have a directory board in each hall to list the companies and what product/service they are carrying/providing. Exhibitors include publishers of: - books for children and young adults - textbooks - multimedia products for children, educational publishers, authors, literary agents, TV/Film production companies, licensors and licensees, packagers, printers, distributors, developers, service companies connected to publishing.